Not sure what the actual name is of the metal strips that runs across the cabinets of the 3C /55 etc that hold the modules in place . Has anyone any links to images of this strip ? Also what size bolts were used to hold the modules in place.? 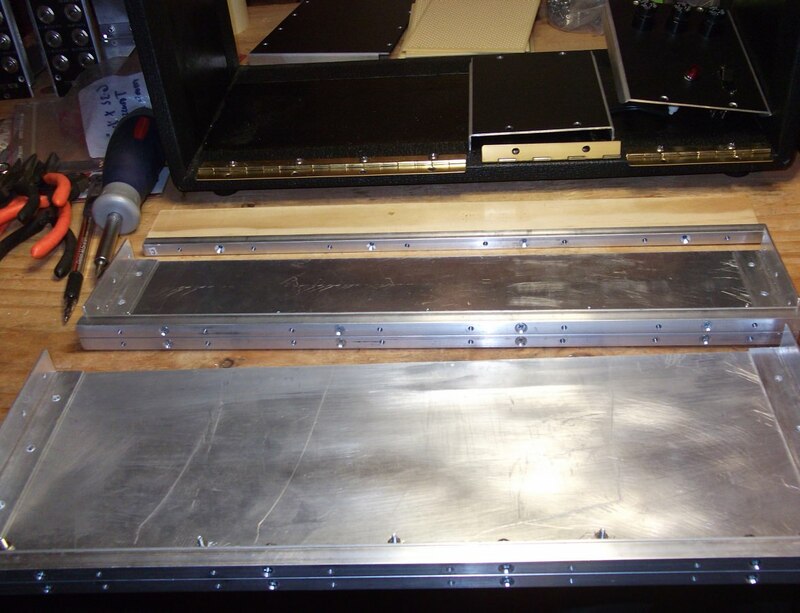 I plan to rebuild my diy cabinets this summer and use the metal strip fixing rather than just screw the modules into the cabinet wood. I make my own... actually, I'm just making a few right now for a new case I am building form my Bode freq shifter. They are aluminium - the original thread is a strange one - my nut & bolt supplier here in town, in the UK couldn't identify the thread for me, it's probably a US thread..!? I bought some black, pan-head, allen-key drive 4mm bolts, a 4mm tap and bought some strips of aluminium bar. They need to be a certain thickness so they can hold a few turns of thread..! Thanks for your help....I guessed I would have to fabricate these rails and like you will be looking around for suitable metal pieces. I've been trawling looking for some close images of the real thing, I'm wondering if the 'nut' part of the bar is slightly moveable to allow for module size deviations? If so that will be tricky. Rarecomponentadsr wrote: I'm wondering if the 'nut' part of the bar is slightly moveable to allow for module size deviations? If so that will be tricky. 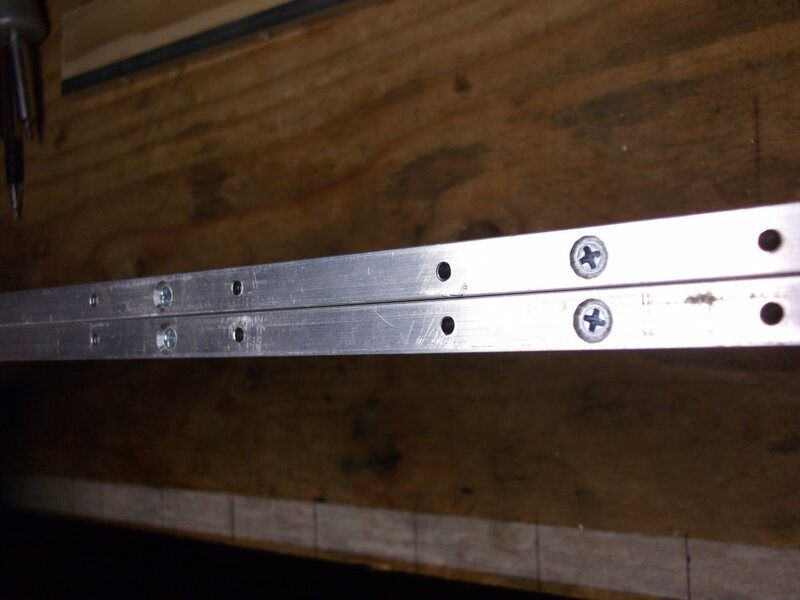 The 'nuts' are holes in the strip which are tapped with a thread. They're spaced at specific intervals... basically 1 unit apart. Making a strip is really easy... you'll need the correct drills, counter sink and the right tap. I use and suggest 4mm. Since that time I did complete several portable cabinets. I made my own mounting strips from aluminum stock. 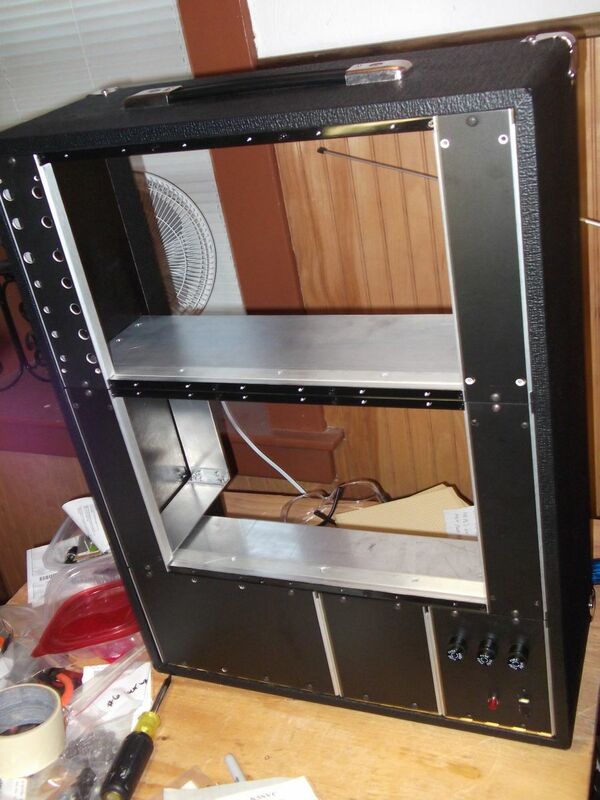 Very similar to those Dotcom 19" rack mount rails. 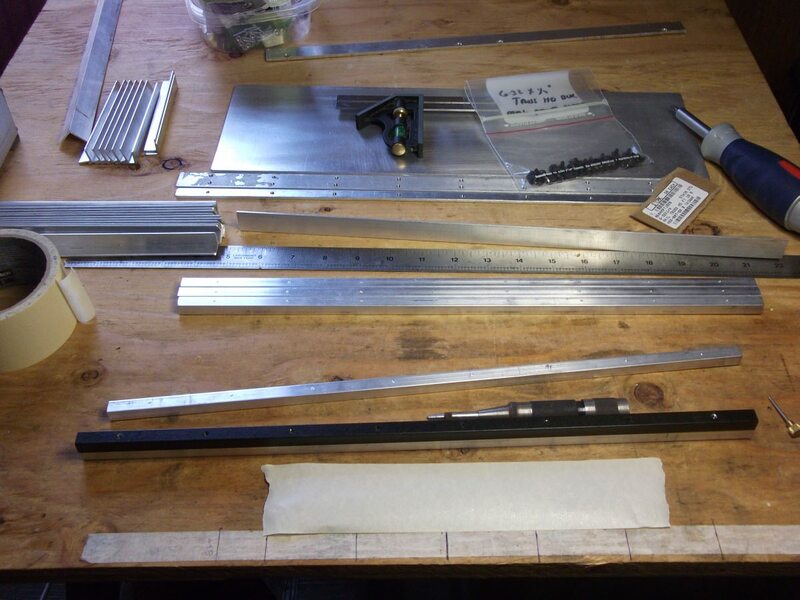 Here are the parts I used to construct my rails using 1/4" square aluminum stock with 6-32 tapped screw holes. Moog used 6-32 X1/4" truss head screws. 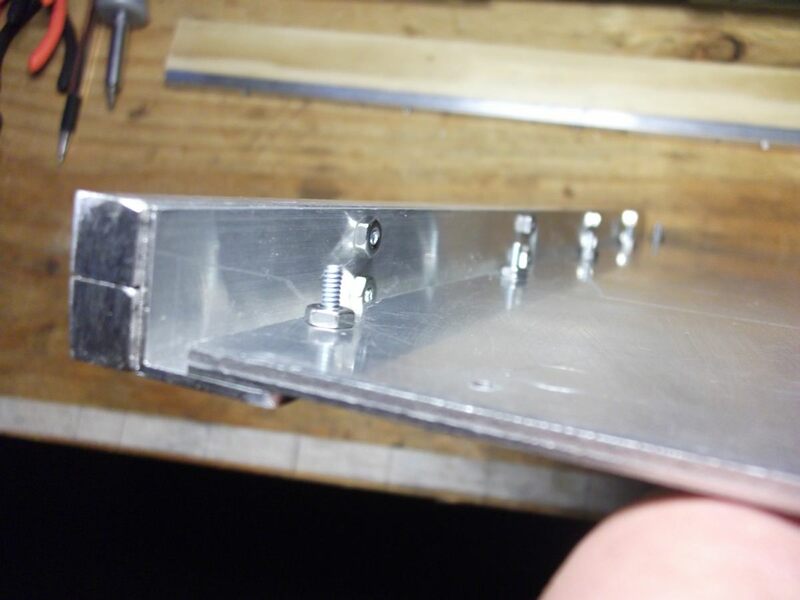 Used 1/2" aluminum L stock and aluminum sheet metal to construct the mounts. Finished, my mounting plates looked like this. 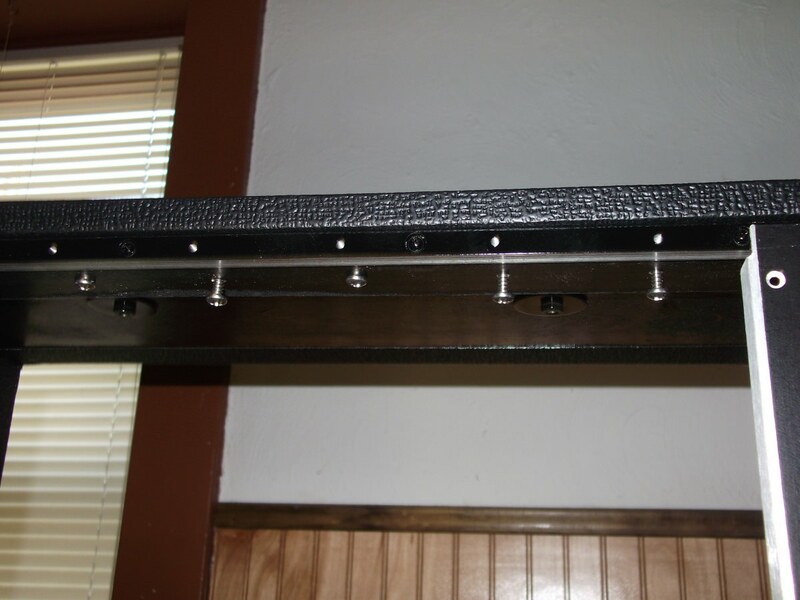 Close up of the top rail, similar to the wood cabinet type mounting. The 1/4" aluminum square stock worked well for my mounts. Just had to drill and tap. Many thanks CZ....as usual superb info here and great photos. I see how you solved this ....I had a different method in mind to save tapping but your method seems more logical and looks great.